Reach your peers in the anti-fraud community at the 29th Annual ACFE Global Fraud Conference. Dedicated networking opportunities give you time to connect with practitioners, specialists and other anti-fraud professionals who can provide new and different perspectives on your business challenges. This exchange of thoughts, solutions and ideas is an opportunity that can best be cultivated face-to-face. Sunday, June 17 | 5:30-7:00 p.m.
Join fellow women in the anti-fraud industry to network, ask questions and share ideas in a relaxed setting. This event is currently sold out. Email Mandy Moody, ACFE Content Manager, to be added to the waiting list. Sunday, June 17 | 6:00-6:45 p.m.
New ACFE members and first-time attendees to an ACFE Global Fraud Conference are invited to attend a special networking event before the Welcome Reception. 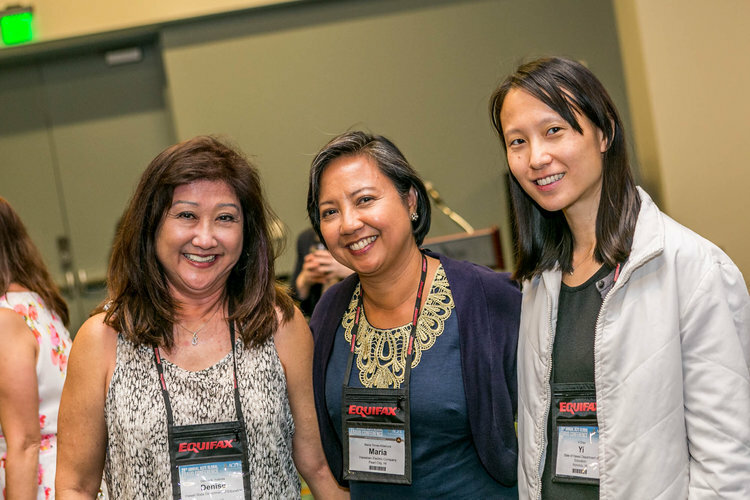 Join us to network with your peers and meet ACFE leaders and staff, Regents and local chapter officers, all of whom will share insights on how to get the most out of membership and your conference experience. Sunday, June 17 | 7:00-9:00 p.m.
Join us in the Anti-Fraud Exhibit Hall on Sunday, June 17, as the ACFE hosts a complimentary Welcome Reception for conference attendees. This is the perfect opportunity for you to meet other attendees and take a sneak peek at the latest anti-fraud solutions as you enjoy refreshments and light hors d'oeuvres. Tuesday, June 19 | 5:00-6:00 p.m. Build your professional and social circle while you unwind from the day during the Attendee Networking Reception. This event takes place following Tuesday's educational sessions and will be complimentary for all attendees. Tuesday, June 19 | 6:30 p.m. Participate in the ACFE Foundation Charity Poker Tournament for a chance to win a main conference registration to the 30th Annual ACFE Global Fraud Conference (or $600). Enjoy a Texas Hold 'Em poker tournament, while supporting the future of the anti-fraud profession! RSVP here. Gather with attendees from your industry during the General Sessions at reserved tables through the room. This networking opportunity is an easy way to connect with professionals in similar roles. Log on to the ACFE Community (Members only) to begin connecting with others in your industry. These forums offer an easy way to connect with other attendees and schedule meetings or group outings prior to arriving at the conference.